We all consume a lot of data daily. Be it in the form of movies, photos, songs and documents. Since this influx of data, it became necessary to store them separately at a safe place rather than placing it on a folder in your computer or smartphone. An external hard disk is the best method to keep the valuable and sensitive data safe and secure. This also keeps suficient free space on the built-in storage of your device as well. In this list, we have compiled the best 5 External hard disk that you can rely on for your data storage needs. We’ve picked the Seagate backup Plus slim as the best 1TB hard disk and WD passport as our best 2TB hard disk and has a lot more in store for you to choose from. Read along and make a wise decision! The ADATA HV620S is a wired 2TB external hard drive offering a dependable, go anywhere storage medium with superfast USB3.1 data transfer protocol. This ultra-portable hard disk packs in an impressive 2TB of storage space inside the drive that is only a mere 11.5mm thick. The ADATA HV620S has a unique design strategy that is in stark contrast with other similar external hard disks available in the market. This hard disk features a glass embodied chassis that looks premium with the slim form factor. The slightly raised peripheral hip above the glass prevents it from having direct contact with the surface and protects from scratches and dents. However, extra care should be taken while handling this product as a minor slip from the hand might result in broken glass or at the worst a broken device itself. There is a status LED indicator in the front of this hard drive that glows blue while in operation. Overall the design looks fresh and the quality of construction is prime for the asking price. As we’ve mentioned above, the ADATA H620VS comes with 2TB of storage capacity for effortlessly handling your files and other media content on a slim and portable form factor. With the super speed USB3.1 support, this device can achieve read and write speeds up to 150MB/s on compatible laptops and other devices. This hard drive is also backwards compatible meaning you can hook it up with your old device with the regular USB2.0 port for unrestricted usage across different devices. The bright blue LED indicator not only indicates the connection status but also the data transfer window during which you shouldn’t pull the plug. This is very much helpful for preventing incomplete read/write operations in a hurry to unplug the device. ADATA provides a three-year warranty with this product so that if anything unfortunate happens in between, you can get it repaired free of cost at the nearest service centre. ADATA V620S is a high-speed USB 3.1 portable hard disk for those who are looking for a large capacity external storage medium under an affordable budget. We’ve seen a Seagate product in this list above and here is the second one from the company – the Seagate Expansion. The Seagate Expansion is a 3TB external hard disk that provides a solution to your ever-growing storage needs. With a rugged texture on the outer casing, this external portable hard disk offers excellent grip while holding it in hand. Not only does the textures enhance the grip, but also renders the product an attractive design that looks aesthetically pleasing to the eyes. For a 3TB portable hard disk, a weight of 168g is not at all bulky. It is pretty light and easy to carry around in your pocket or backpack. Not much can go wrong when it’s product from Seagate. This external hard disk is built to last using high-quality components that are meant to work as advertised for years without any failure. The build quality of the device is great and it can be felt right of the bat when holding this hard disk in hand. The USB 3.0 port is tough and secure and can withstand thousands of insertions and removals without any glitch. Protected by a 128-bit AES encryption, the files inside this portable hard disk will be safe and secure with a password lock. Gaming is now a serious pastime recreation for many around the world. With the arrival of high tech powerful gaming consoles and the advancements in graphics technology, the size of an average game has increased and gone upwards of 50GB. This makes them difficult to store all together along with other contents on your laptop or desktop computer. The WD Expansion 3TB portable hard disk lets you take your favourite games with you anywhere you want without leaving anything behind. The limited storage space on your consoles will pose no threat to your fun with this 3TB storage hard disk for sure. The WD Expansion 3TB hard disk can act as a secondary hard disk to your gaming console. Games can be easily installed on this hard disk and taken anywhere to play with the supporting gaming console around. This is much useful when you and your friends play the same game and want to gather around in a single place to party hard. 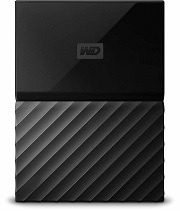 The Western Digital Expansion external hard disk is a sort of extension to our laptop/desktop/gaming console storage. It will function as one without any fail and can be easily maintained. The 3TB storage is more than anyone offering in the same price bracket, so if your sole aim is more storage for less price, this expansion drive from WD is worth investing your money. This hard disk has wide compatibility with different operating systems and doesn’t slow down from system to system according to the operating system it is based upon. Transcend is a familiar brand for Indian customers with its low-cost USB pen drives in the market. The Storejet H3P is the company’s take on a large-scale data storage medium with a 2TB capacity supplemented with high-speed USB3.0 technology. The Transcend Storejet H3P has a rugged yet lightweight design, offering the best of both worlds. The two-tone colour finish is aesthetically pleasing to look at and makes the device stand out from the bunch. The outer chassis of this portable hard drive has a soft silicone material coating which offers great grip while holding it in hand. This layer over the plastic made hard casing provides some sort of cushion for the impending shocks during an accidental fall. There is also an internal suspension damper to minimize shocks to the drive that might result in data loss or corruption. The Transcend Storejet H3P comes with a 2TB storage capacity with support for USB3.0 protocol for high-speed data transfer rates. The improved bandwidth of USB3.0 enables this portable hard drive to achieve impressive real life read and write speeds up to 90MB/s consistently. This is almost three times faster than USB2.0 counterparts. Also, this hard disc being backwards compatible with legacy ports can be connected with older devices and can deliver impressive results. The Transcend Storejet H3P has a dedicated button on the chassis that enables one-touch backup when used along with the Transcend Elite software. This is a much useful feature as it will save you a lot of time from manually configuring backups with a third party backup software. The Transcend Storejet H3P is a capable data storage device with 2TB of capacity and support for USB3.0 high-speed data transfer. The advanced features like shockproof operation and one-touch backup make this device a compelling product for purchase under a budget of Rs.10,000. The buying list for the best portable hard disks in India comes to a conclusion here. We have tried our best to cherry pick the best. We sincerely hope we did a pretty good job in making your purchase decision a bit easier than ever before. If you’ve any queries or suggestions, do let us know in the comment section below. Last but not the least, thanks for visiting our site. Have a great day ahead and Adios!